This is the original speaker’s chair for the Canadian Parliament in 1867, used by the Honourable James Cockburn. It was bought for the Province of Canada in 1863 and moved to Ottawa after Confederation. It was used until 1873 when it was replaced. It is made of Walnut with velvet seat covers. The design is Gothic, meant to match the architecture of the building. Cockburn kept the chair when he retired and remained within the family until it was donated by his great-granddaughter, Helen Sprott in 1983. 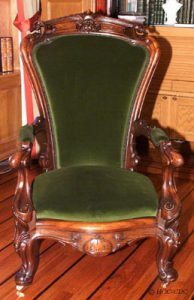 This chair will be displayed in the James Cockburn Room of Victoria Hall. For more information, check out these two news stories from Northumberland Today and Northumberland News. We are so excited about this news! Thanks to Northumberland Today for this great article: “COBOURG – Cobourg expects many visitors during Canada’s sesquicentennial year, but few so distinguished as an inanimate one from Ottawa — the actual chair James Cockburn sat in during his time in the House of Commons. Rob Franklin, aka James Cockburn, practices his performance in the Bailey at Victoria Hall on July 27. (Cobourg, ON) July 25, 2016 – At its July 18, 2016 Regular Council Meeting, Cobourg Municipal Council Declared Saturday, July 30, 2016 as James Cockburn Day in the Town of Cobourg. The Town of Cobourg will pay tribute to one of Canada’s Fathers of Confederation, James Cockburn with a one-man play titled The Life and Times of James Cockburn. 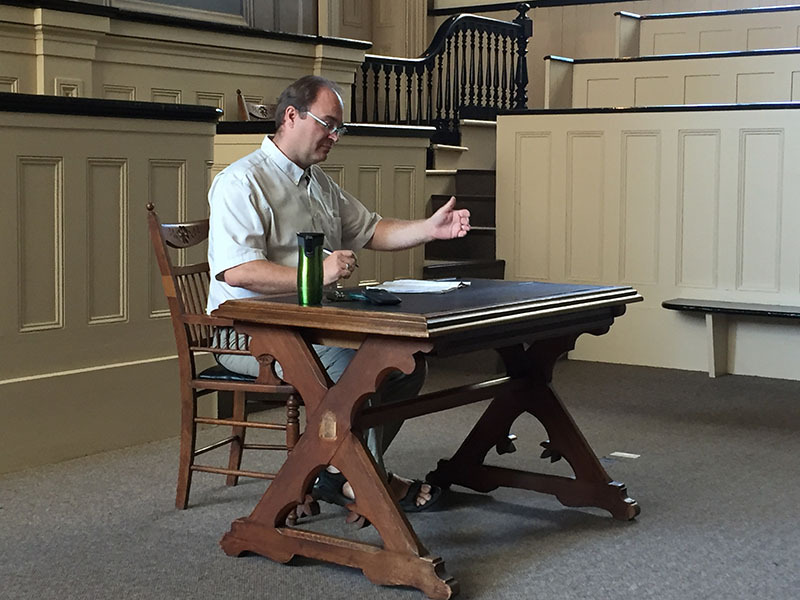 Scheduled for Saturday July 30, 2016, the play will explore significant moments in the life of James and the history of the Town of Cobourg. A graduate of the prestigious Upper Canada College, James Cockburn was a Member of Parliament for West Northumberland, a well-respected speaker of the House of Commons, held a successful law practice in the Town of Cobourg and was one of Canada’s founding fathers. In recognition of James’ contribution to both the Town of Cobourg and Upper Canada, in 1997 Robert Washburn successfully approached Cobourg Town Council to rename the Civic Holiday in Cobourg to the James Cockburn Day. 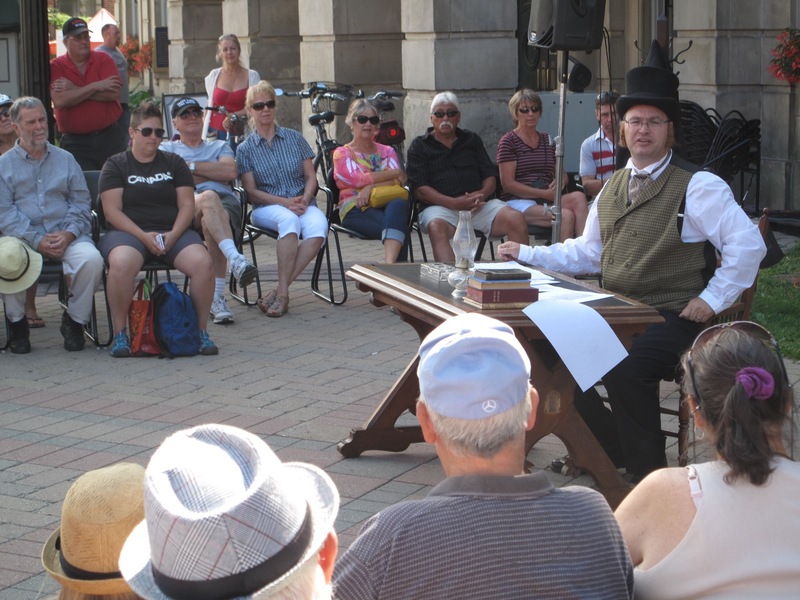 Since 1998, on the Civic Holiday the Town of Cobourg pays tribute to James Cockburn and travels back in time through the enactment of The Life and Times of James Cockburn performed by Rob Franklin, Manager of Planning for the Town of Cobourg and member of the James Cockburn society. The play will take place in front of Victoria Hall at 55 King Street West at 11:00 a.m. followed by a book signing at 11:45 a.m. and an opportunity to take pictures with the actor who plays James Cockburn. In 2014, through a generous donation from a Cobourg citizen, the Town of Cobourg and the James Cockburn Society produced a children’s book on the life of James Cockburn. The children’s book will once again be made available in paperback with black and white renditions for children to colour in. Robert Washburn and volunteers from the James Cockburn Society will hand out copies of the book to attendees of the play. Complimentary tours of both Victoria Hall and the James Cockburn room will also be taking place on Saturday, July 30, 2016 at 12:00 p.m.
For more information on James Cockburn Visit the James Cockburn website at honourablejamescockburn.ca, look for James Cockburn Society. The Honourable James Cockburn celebrated his birthday February 13 at Victoria Hall in the company of 90 children from C.R. 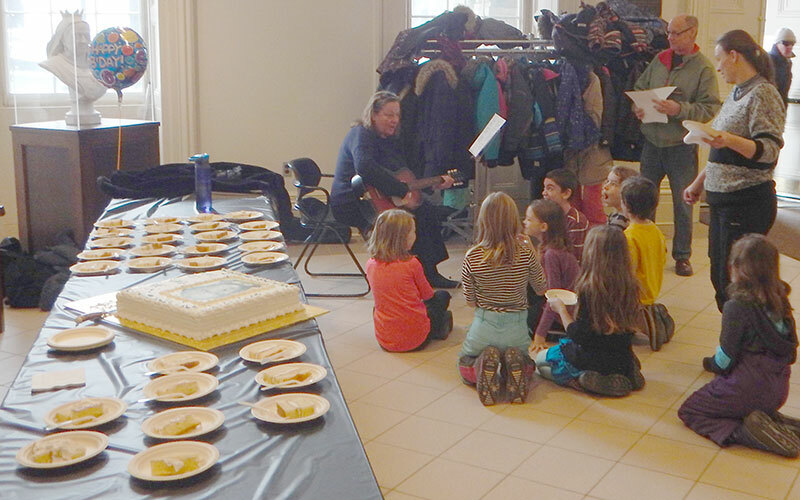 Gummow, Burnham and Montessori schools. 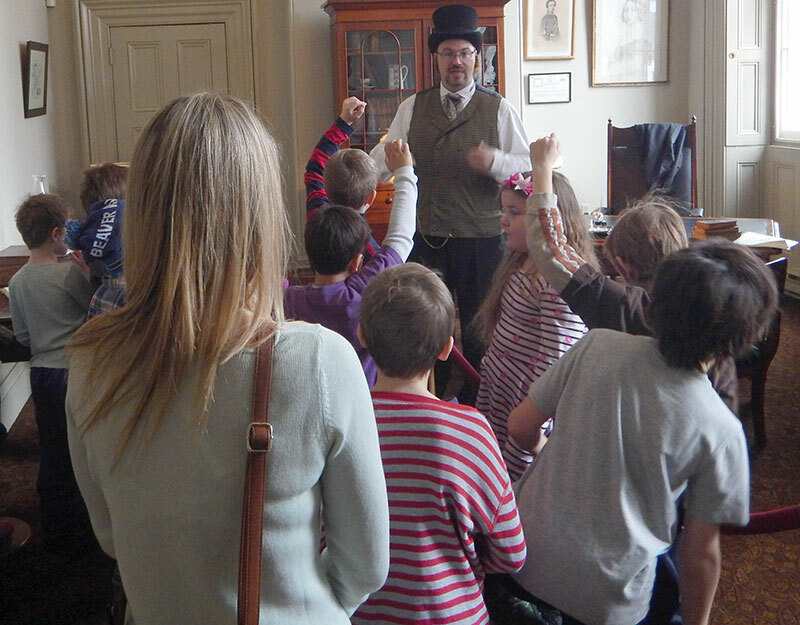 Cockburn provided helped the children learn a bit about Confederation era Cobourg and his role in the James Cockburn Room at Victoria Hall. The event is supported by a partnership with the Cobourg Public Library. The Northumberland Art Gallery also joined us this year as a new partner. Even with James having laryngitis, the kids had a great time and we received very positive comments from the teachers afterwards. Cake was served in the lobby of Victoria Hall. James Cockburn is the Father of Confederation for Northumberland and was the first speaker of the House of Commons.